Alan Manne, Richard Richels .The Kyoto Protocol: a cost-effective strategy for meeting environmental objectives[M]，The Energy Journal, 20(special issue):1-24. World Bank. Clean development mechanism: think a proactive and sustainable approach [M], Washington D.C., 2004. .Emma Paulsson, A review of the CDM literature: from fine-tuning to critical scrutiny. [J], International Environmental Agreements 2009 (9):63-80. Antoine Dechezlepretre，Mattieu Glachant, Yann Meniere .Technology transfer by CDM projects: A comparison of Brazil, China, India and Mexico[J], Energy Policy 2009 (37)：703-711. Malte Schneider, Andreas Holzer, Volker H. Hoffmann. Understanding the CDM’s contribution to technology transfer[J], Energy Policy 2008 (36):2973-2984. Stephen Seres. 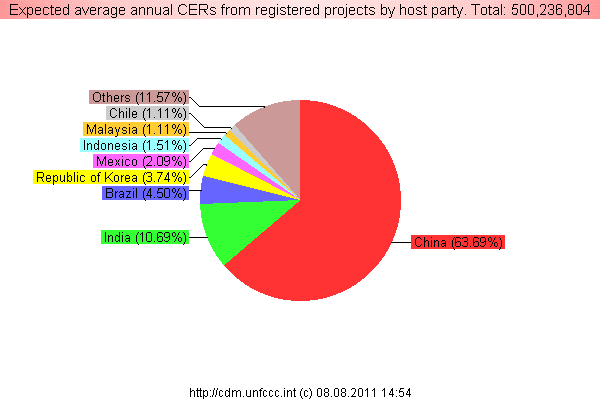 Analysis of technology transfer in CDM projects[R]. Final report to the UNFCCC Registration & Issuance Unit CDM/SDM, 2007. Michael Wara. Is the global carbon market working? [J].Nature, 2007(2):596-596. Craig Hart. Ease Asia clean development mechanism: engaging East Asia countries in sustainable development and climate regulation through the CDM [J].Georgetown International Environmental Law Review，2008(20):645-680. Axel Michaelowa, Frank Jotzo, Transaction costs，institutional rigidities and the size of the clean development mechanism[J].Energy Policy 2005(33)：511-523. Michael Wara. Measuring the clean development mechanism's performance and potential [J].University of California Los Angeles Law Review, 2008(55): 1759-1781.